Micah’s Custom Trailer Works has been your local full service trailer repair expert and custom trailer manufacturer for over 20 years. 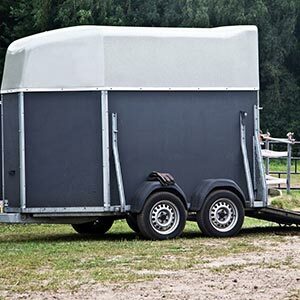 We specialize in trailer design, construction and restoration, as well as repairs for both trailers and farm equipment in Chelan County, Washington, and the surrounding areas. For customized trailers, Chelan County, WA, residents need look no further than Micah’s Custom Trailer Works. We specialize in the design and construction of custom trailers, such as auto trailers, boat trailers, utility trailers and horse trailers. We offer in-depth consultations to understand your vision and build a trailer tailored specifically to your needs, and our technicians are experts in welding and metal fabrication in Chelan County, WA, to assist in this process. Our custom trailers are designed with artisan skill and manufactured with unparalleled craftsmanship to give you a product of enduring quality. We protect your trailer with a two-stage black bedliner spray on all its metal surfaces, followed by a powder coating of the front and rear ramps. We are your licensed OEM vehicle manufacturer. We are your licensed miscellaneous vehicle dealer in the state of Washington. We are proud members of the National Association of Trailer Manufacturers, the National Federation of Independent Businesses, and the Washington State Auto Dealers Association. Our professionals are extensively trained in welding, fabrication and repairs. We’ve been your manufacturer and welder in Chelan County, WA, for over 20 years. Whether you’re restoring an old trailer or commissioning a customized boat trailer in Chelan County, WA, we’ll provide you with uncompromising workmanship. Custom Trailer, Custom Trailers, Welder, Welding Service, Trailer Repair, Trailer Repairs, Fabricator, Fabricators, Metal Fabrication, Steel Fabrication and much more.